If you're planning on taking any flights on Oceanic or Ajira Airlines anytime soon, the good news is that you can pack light. There's only one change of clothes you'll need, and eBay can help. 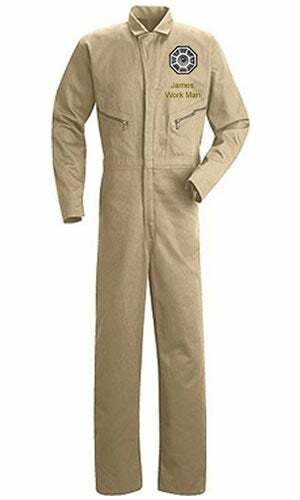 For the "bargain" price of only $76.45 (not including $14.50 shipping), you too can own your very own Dharma Initiative worksuit, complete with your own name and choice of Dharma station patch. While I'd really like to be sarcastic about this, I have to admit, if I had the money lying around, I'd have bought one already. Just, y'know, in case of emergencies.